Create stunning & lasting lighting features. Available from Sun-Light Solutions the fantastic range of translucent stretch material allows for perfect light diffusion. The membrane allows approximately 85% of the light to pass through as diffused light. With careful use of lights, stunning effects can be achieved. Any light source can be used from standard fluorescent tubes to cold cathode tubes or the modern intelligent LED lights. The light effect is limited only by the imagination of the lighting designer and the complexity of the light controller. Fixed colours can easily be achieved, as can colour mixing, fading, scrolling, and image reproduction in the form of rear projection. 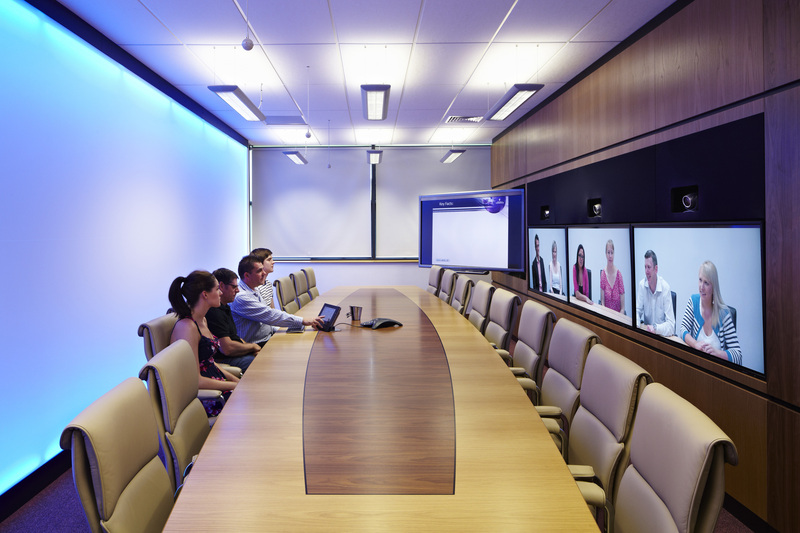 When used in conjunction with amBX lighting technology such as the image above, which was installed by Sun-Light Solutions dealer Saville Audio Visual into a Boardroom that duals as a Telepresence room. Initially this wall can be the perfect colour blue as the backdrop for high end Video Conferencing delivering near TV Studio quality images but can be any colour to coordinate with the clients in the room. Offer subtle ambient room lighting such as a warm white on a cold day or a nice mix of colours slowly moving in the background or reacting to music and indeed to the presentation content. 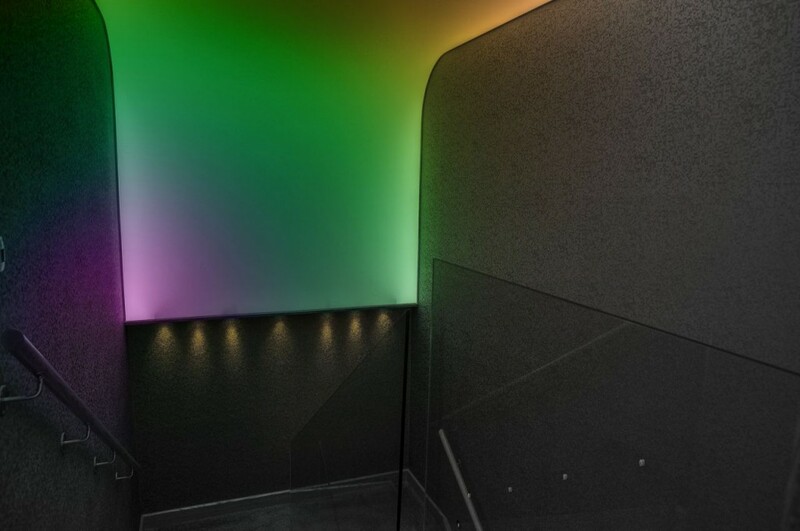 The image below shows a translucent lighting feature that rises up a staircase wall then gracefully curves over and follows the ceiling along overhead and is absolutely mesmerising. The amBX Light-Scene Engine drives the coloured lights allowing for static colours of choice, fabulous ambient Light-Scenes and lights reacting to the music being played. 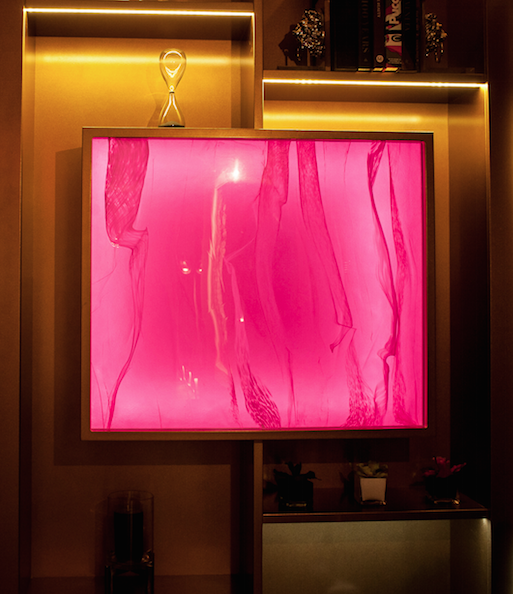 The next image is a bespoke glazed panel over an opening in a book case, the panel is lit internally with RGB flex. The glazed panel offers a beautifully diffused lighting feature.